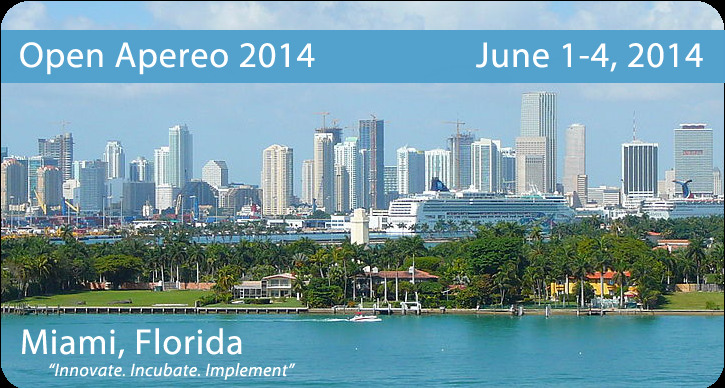 Get ready to share your success stories at our Open Apereo 2014 conference in Miami, Florida! This year's conference is being held in one of the world's most popular vacation spots. Mark you calendars and join us this year! Present perspectives based on institutional experience, access the experience of others, exchange ideas, develop dialogue and form new partnerships. Develop an understanding of other areas of the academic enterprise by looking outside of immediate interest areas and contributing to the understanding of commonalities as well as contrasts. Organize community-wide, project-based, or institutional discussion, dialogue and practical collaborative work. Join us in Innovate. Incubate. Implement!